Designed for jumpers of all abilities, the update to the Turbo Jump® now features a new medial/lateral strap construction that holds your foot perfectly from approach to take-off. 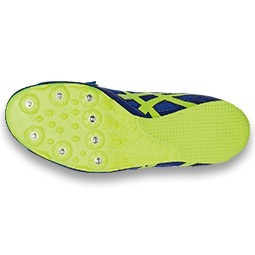 The 8 pin spike configuration provides a stable platform while offering excellent traction on the runway. Comes with 9mm Pyramid spikes and wrench. This product cannot be exported. 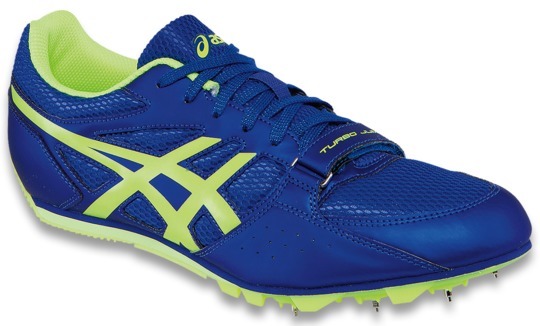 Call for sizes 9.5 and up if we show no stock, ASICS may have some left.